Looking for the perfect look for the Diwali cards party that you have been eagerly waiting for? Just sit back and let the best party makeup artists in Pune handle it for you, that too in the comfort of those four walls. 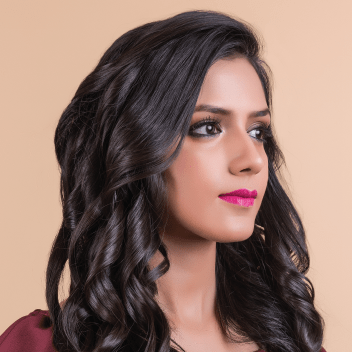 UrbanClap has a diverse line-up of highly talented and accomplished makeup artists in Pune who have been onboarded after going through a stringent quality check. Channel your inner diva and wow everyone with your gorgeous look at every party that you decide to attend. She is execellent makeup artist and my make up was very beautifully done. Everything was perfect as expected. Thank you so much Peenal. Elegant and subtle makeup. Loved it! The saying that good things come in small packages. Dipti really took the time to listen to what I wanted and the result was awesome. Thank you so much for making my first karwachauth an amazing one. I Recieved so many compliments for my makeup and hairstyles. Thanks Dipti you are an awesome beautician :) Keep up the good work. I engaged Neha's services since she was the top rated and had the best reviews on UrbanClap. I can now confidently say she truly deserves all of that! She arrived a bit late due to a prior engagement, so we had only 45 mins left for the make-up and hair. I was a bit unsure then on how this would turn out to be, but when I saw the end result, I was absolutely thrilled - it was equivalent to hours put into make-up. She perfectly nailed the look I had imagined for myself (for a dance performance). The make-up blended beautifully with my skin, and I couldn't stop adoring myself..........leave aside the tons of compliments that I got! :) Extremely soft spoken, very approachable, someone who will patiently listen to your requirements and try to fulfill all.......but at the same time someone who will not hesitate to put down your request, if she feels something will not look good on you - that's Neha for you! You can trust her expert advice for sure. She is definitely my go-to person for any event in future. When you are getting ready for any special occasion, whether it is a celebration of an anniversary, or, a party that you will host, a skilled makeup artist gets the job done. 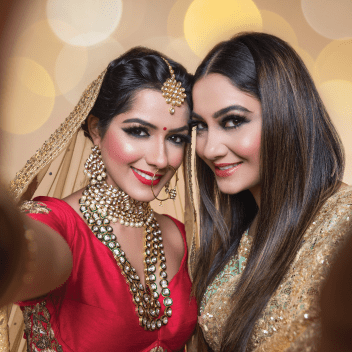 Not only would you look perfect but also, your photos will come out fantastic. Applying a makeup that will last long with a faultless base can be difficult to accomplish on your own. A professional makeup artist can create the best makeup look you desire. Qualified Experts: All of our makeup artists for parties in Pune are verified and well-trained. Standard Makeup: UrbanClap’s artists just use authentic products. Convenience: We send a proper makeup artist to your house who carries all the prerequisites for you to get prepared. Prompt Service: Get clothed for any occasion at your house by booking up to 3 hours in advance. Moisturising your face eases the process of applying makeup. Your makeup won’t look flaky even if you have dry skin as the moisturiser primes the face. To make the party makeup artist understand your preferences, show her photos of makeups and hairstyles that you have found. An expert MUA who would know which sorts of styles would match your skin type, the face shape you have, and your outfit. When you are getting a sari or dupatta draped, look for photos of different types of draping styles to show it to your party MUA. When you are getting makeup applied to you, put on the blouse and then wear a top or button-down shirt so that your hairstyle and makeup are not spoiled. 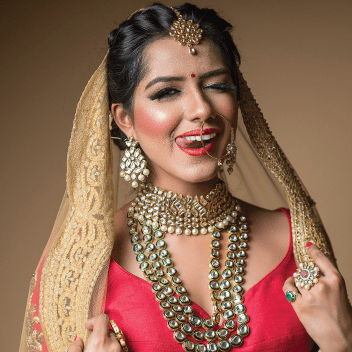 When you have to get prepared at the venue where the function is going to take place, pack your dress, footwear, jewellery and also a button –down shirt before leaving your home. Bring your own makeup product that you want the MUA to apply on you. Get a small touch-up kit containing lipstick, foundation, moisturiser, concealer some pins and blotting paper for any small touch-ups required at the venue. Makeup should never be done straight away after a facial. A facial is required to be done 2 days before. Let the MUA know what you prefer by showing her photos of your preferred styles. You should freely speak to your MUA about any concerns you have while she is getting prepared to apply makeup on you. Since you won’t get time for the makeup to get redone after the session is over, just don’t wait until the end. Tell her to make changes during the makeup session. Let your MUA know what you are not looking for. For example, if you don’t want a dramatic winged eyeliner or any eyelash extension, tell the MUA know clearly. She would understand it. See how the makeup looks on you on camera in artificial and natural lighting conditions. The base must be the same as your skin colour. If the tone of your neck, back, and face are not matching, the MUA should put foundation on every revealing part. To correct the dry spots where the makeup looks flaky, the MUA should be softly dabbing the dry parts with moisturiser. The acne marks, blemishes and pimples should be suitably concealed and whether they are covered in their entirety, your makeup might look odd. When your makeup is not turning out the way you had expected, request the MUA to make it bold or soften it. For the makeup to last longer, a primer should be applied on your face as well as over the eyelids prior to the makeup application. For the kajal to stay longer, dry out the waterline using a cotton swab before the kajal is applied. While styling your hair, you should be comfortable. Sometimes when pins pull your hair it can be discomforting. Ask your hairstylist to move the pins’ positions. To see if your hairstyle is holding up properly, try moving your head around so that it does not open up. For sari draping, moving around would let you see if the pleats don’t open up. Also, sit and stand up to see if the sari is not opening up and if you feel comfortable in it.